James Hilton is University Librarian and Dean of Libraries, as well as Vice Provost for Academic Innovation at the University of Michigan, where he leads one of the world's largest and most innovative library systems, and spearheads the development of campus-wide strategies, policies and programs around educational technology. A national leader in technology issues around higher education, he has led, championed and fostered technology initiatives that cross boundaries between institutions, and between academic and information technology units. He was a co-founder of the Sakai Project, a collaborative effort to create open software that advances teaching, learning and research; provided crucial early support to multi-institutional efforts to deploy technology to further education, research, and preservation, including Internet2 NET+ and DuraSpace; and led the creation of the Digital Preservation Network (DPN) to develop a collective ecosystem to protect the scholarly record, including the growing amount of born-digital scholarship, for future generations. Recently Hilton helped spearhead the development and launch of the Unizin Consortium, a partnership of universities that is empowering participating institutions to exert greater control over the infrastructure, content, and data that both drive and emerge from the expanding digital learning landscape. Hilton began his career as a faculty member in the University of Michigan’s Department of Psychology, where he was three-time recipient of the Excellence in Education Award, served as the Chair of Undergraduate Studies between 1991 and 2000, and awarded the Class of 1923 Memorial Teaching Award. His interest in the intersection between academics and technology led to a series of roles in which he served as catalyst for the exploration and use of technology in the academy. At the University of Michigan, he served as special assistant to the provost for media rights; associate provost for academic, information and instructional technology affairs; and interim university librarian. 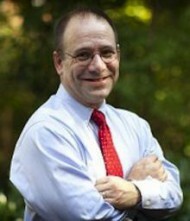 From 2006-2013, he was vice president and chief information officer at the University of Virginia. He serves on many boards, including Internet2, DuraSpace, DPN, and the HathiTrust Board of Governors, and at the University of Michigan is Arthur F. Thurnau Professor, professor of information in the School of Information, and faculty associate in the Research Center for Group Dynamics. Hilton received a B.A. in Psychology from the University of Texas at Austin in 1981, and a Ph.D. in Social Psychology from Princeton University in 1985. He has published extensively in the areas of information technology policy, person perception, stereotypes, and the psychology of suspicion.